Thirteen-year-old Russian figure skater Aleksandra Trusova became the first female skater to land two quads in a program on Saturday on her way to winning the 2018 ISU World Junior Championships. Trusova’s technical score of 92.35 points – an unofficial world record – was 11 points higher than fellow Russian Alina Zagitova’s gold medal-winning total at the recent PyeongChang 2018 Winter Olympics. Despite making history with her double quad jump, Trusova said she is not willing to rest on her laurels, and even plans to add a triple Axel and a quadruple Lutz to her free routine. Last month, the whole world witnessed a fierce battle between Zagitova and Evgenia Medvedeva, who both broke the world record competing at PyeongChang. 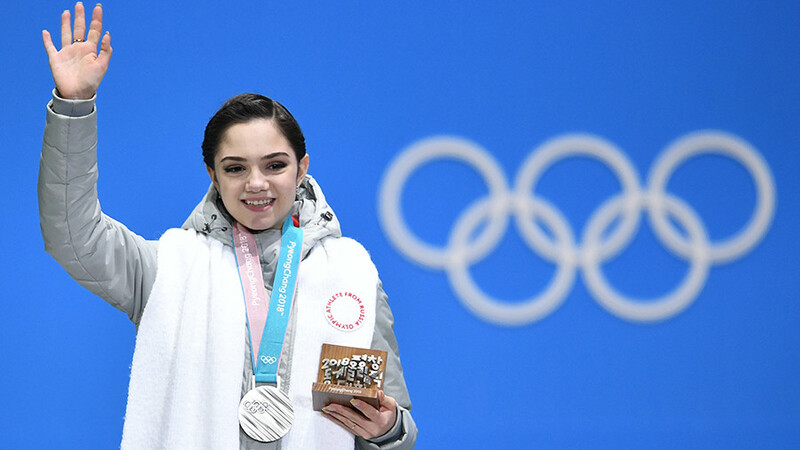 The two were lauded for their performance in South Korea, where Zagitova clinched gold ahead of silver medalist Medvedeva. 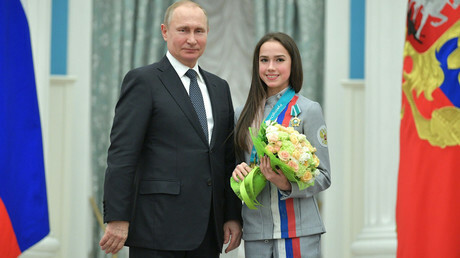 The 15-year-old Zagitova displayed the most technically-complicated program, putting all of her jumps into the second part of the program, a step which gave her a critical advantage over her rivals. However, just weeks after the Games ended, Zagitova’s stunning result has been eclipsed by Trusova, who achieved her impressive score for her technical elements at the championships in Sofia, Bulgaria. Trusova not only managed to beat Zagitova’s Olympic result by more than 11 points, but her tally appeared to be higher than the technical scores of three-time world champion from Canada Patrick Chan, as well as Russia’s Mikhail Kolyada and Dmitry Aliev, who all were in the top eight of the men’s singles skating event in PyeongChang. Trusova’s overall score of 225.52 points would have brought her 4th place at the 2018 Winter Games, but she is not yet eligible to compete at senior level because of her age. 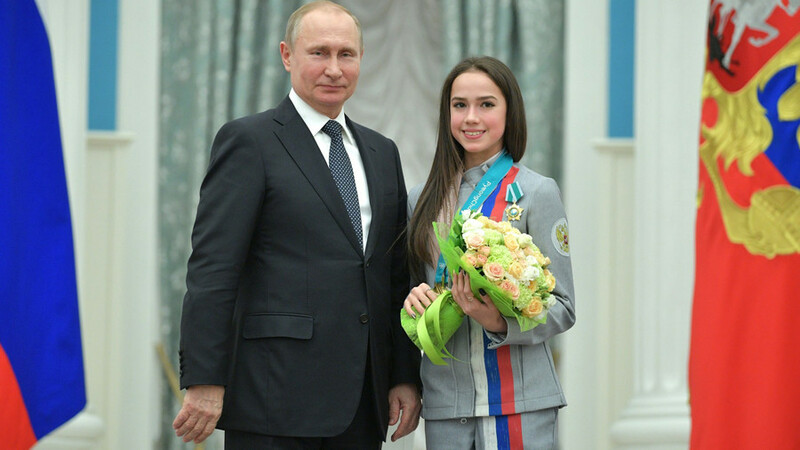 She will be allowed to compete in senior competitions in 2020 when she turns 15, the same age as Zagitova. The newly-crowned world junior champion was the first skater to land a quadruple toe loop at official figure skating events. She also became the first woman to include two quads into her routine which were deemed fully rotated by the judges. 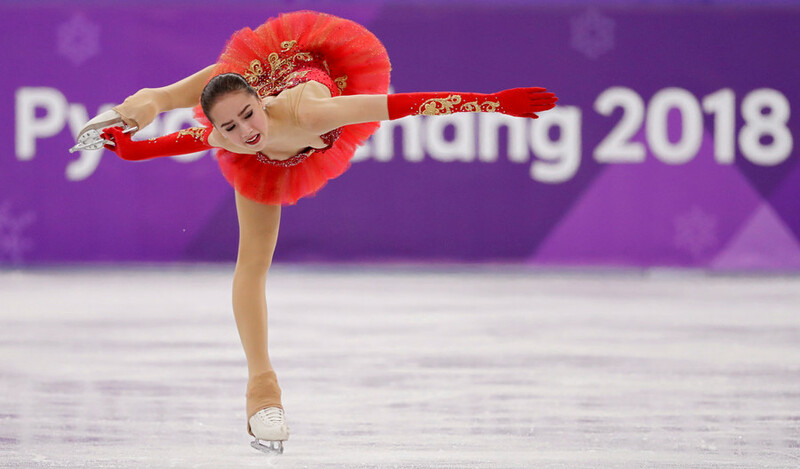 Trusova, who was immediately dubbed ‘the princess of quads’, became the second female skater to execute a single quad at an international competition, after Japan’s Miki Ando nailed a quadruple Salchow at the 2002 Junior Grand Prix Final. The result meant Russian figure skaters have won the junior world championships seven times in the last eight years, where four titles were grabbed by girls trained by prominent Russian coach Eteri Turberidze. Turberidze was the trainer who last month guided Zagitova and Medvedeva to their Olympic medals, and previously trained 2014 Olympic team event champion Yulia Lipnistkaya.